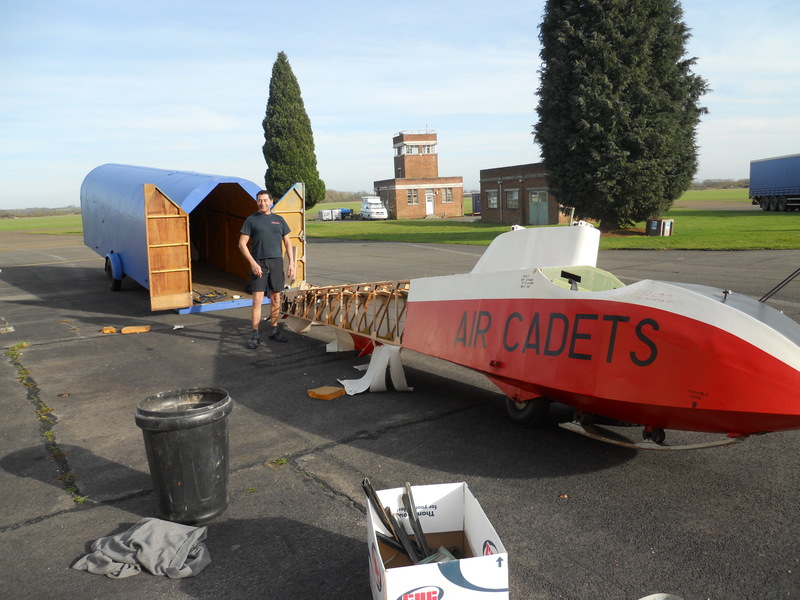 Significant progress last week, with Vicky, Adam, Nick J, Andy T, Gav and Webby providing the workforce. 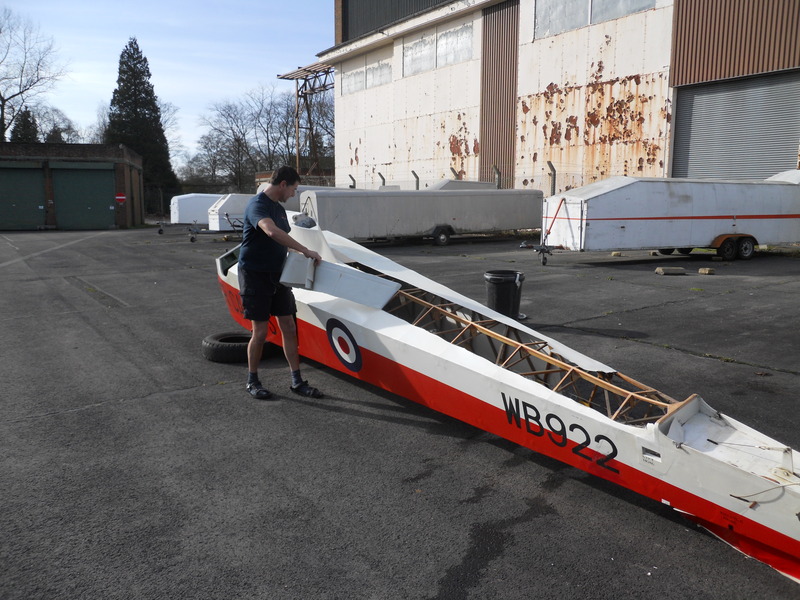 The wing is almost ready for fabric, it is slow going as we are strengthening the trailing edge ( to prevent the well known Slingsby warping!). There are 4 glueing operations involved with 24hrs drying required between each, it takes a couple of hours just to remove the staples that have been holding the glued surfaces together. 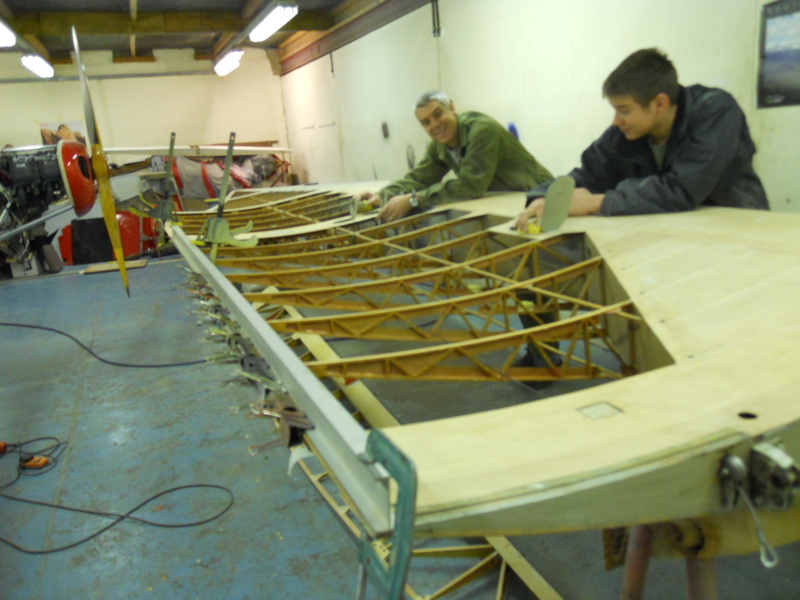 The repairs to the holes in the leading edge have been finished, and the remainder of the wing has been sanded, sanded again and more sanding just to make sure!! 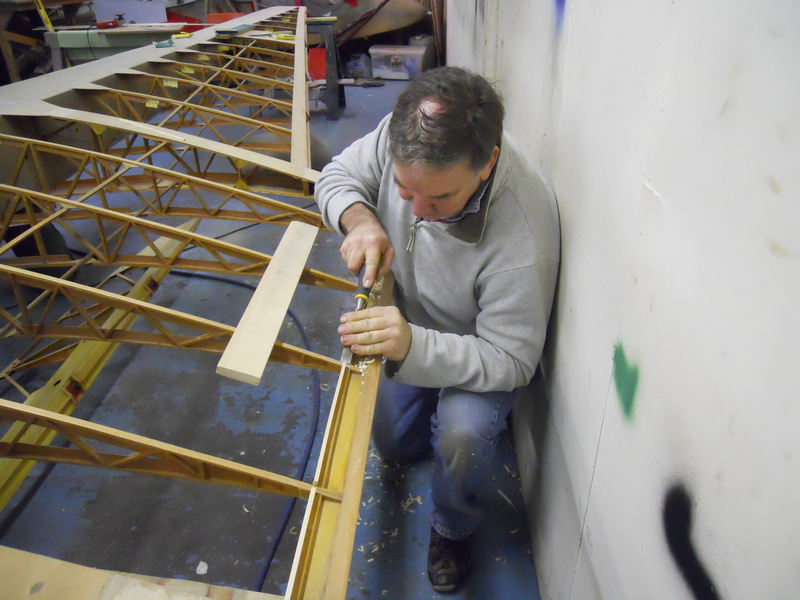 This photo shows Andy trimming the supports for the new ply trailing edge, another tricky ( oops – bad pun!) and time consuming job. And of couse the endless sanding. 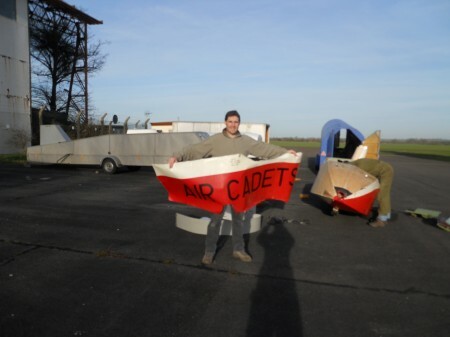 Lucky to catch Nick in this one, if he wasn’t on tea break then it was the 15min hand cleaning time prior to tea break! 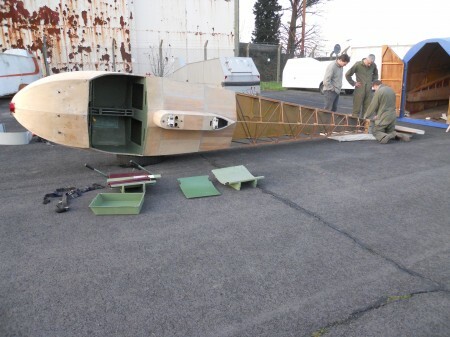 With plenty of manpower we were able to get the fuselage outside and start stripping the fabric and removing everything from the cockpit area.